Introduction – Read the Wellbeing in Business Series intro here. 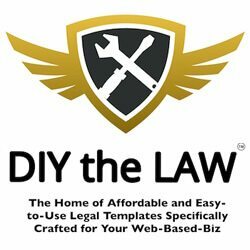 As a business owner, you always have a million things on the go: a website to launch or revamp, a new program or service running, clients or products to juggle, suppliers to keep track of, and invoicing to do. Once the business work is done, the work at home begins: do the dishes, keep on top of laundry and dusting and vacuuming, go grocery shopping, walk the dog, clean out the kitty litter, get the kids to their afterschool activities, go to the gym, drink your daily water allotment, spend time with your partner, and of course, sleep at some point. Sound like a huge number of things to do? We all face overwhelm at some point. There are only so many hours in the day and only so many things that you can get through in that one day. It’s becoming a popular trend in Western society for a reason. Simply put, it’s the practice of being completely present and in the moment. It can be used for a number of different reasons and in a variety of different settings. Mindfulness is the basic ability to be fully present and aware of where we are and what we’re doing, without casting judgement or being overly reactive to what’s going on. The important parts to pay attention to in that definition are “without casting judgement” and “without being overly reactive.” It’s very easy to become distracted and mentally wander off to other places while attempting a mindfulness activity. You’re essentially trying to use a muscle that you’ve never used before, so it totally makes sense that it’ll take some work at first. The important part is not to judge yourself or get frustrated through this process. Be kind to yourself and take it one step at a time. The practice of mindfulness is something that can be cultivated almost anywhere by anyone. The lovely thing about mindfulness is that it doesn’t require you to buy any supplies or have a special place to practice or special clothes to wear. You can do it as a part of your daily life without having to change much about what you do. Take doing dishes for example. It’s something that you probably have to do every day, right? What if you shifted your perspective while washing those dishes and instead of worrying about bills or thinking about your next email or blog post, focus on what you’re doing right then and there. Take a minute to enjoy the warmth of the water on your hands. Smell the fresh scent of the soap. Feel the slipperiness of the dishes when they’re covered in soap suds. All of this could take around 20 minutes if you want or it can be as quick as washing one cup. The choice is yours. Let’s be generous and say that washing your one cup takes 90 seconds. Those 90 seconds have the capability to give you a mental break from your crazy, hustlin’ day and allow you to become grounded and physically present in the here and now OR you can waste them worrying about things you may not be able to control. The choice is up to you. Now, doing the dishes might not be your thing. It could be having a cup of tea or going for a quick walk or even washing your hair. All of these things and so many others can be done mindfully so long as you are focused on the present moment, on exactly what you’re doing and where you are. The next time you find yourself being overwhelmed, keep this in mind: we are human BEINGS, not human DOINGS. We’re so used to the buzz and hum of the North American lifestyle, that it’s almost off-putting or even insulting when we have to try to slow down and take a breath. However, in slowing down and taking that breath, it’s possible to re-center yourself and be able to handle the constant buzz and hum in your life. Make sure to take time for yourself, even if it’s only a few minutes a day. And make sure to make those minutes count. 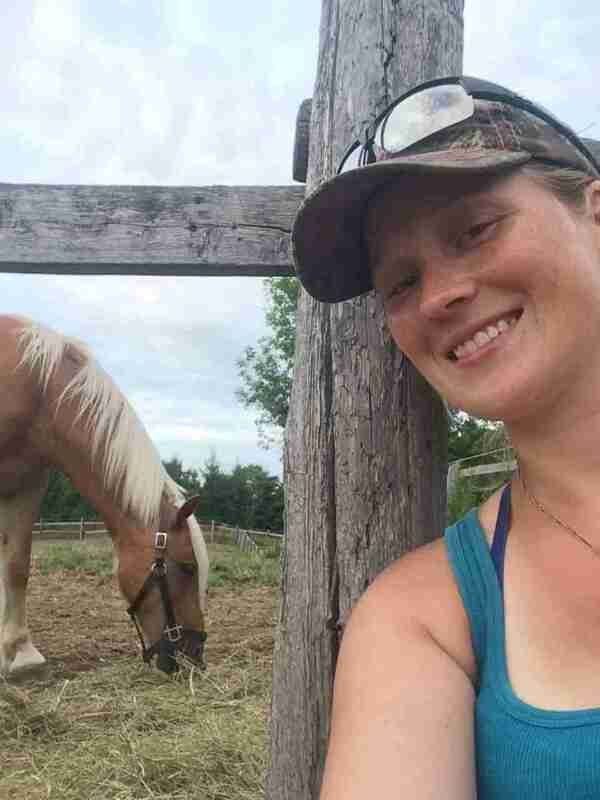 Amanda Pratt runs a life coaching practice and equine assisted learning centre in Toronto, Canada. She works as a stress management and self-care coach with entrepreneurs who are struggling with balancing the demands of running a business and having a life outside of work. 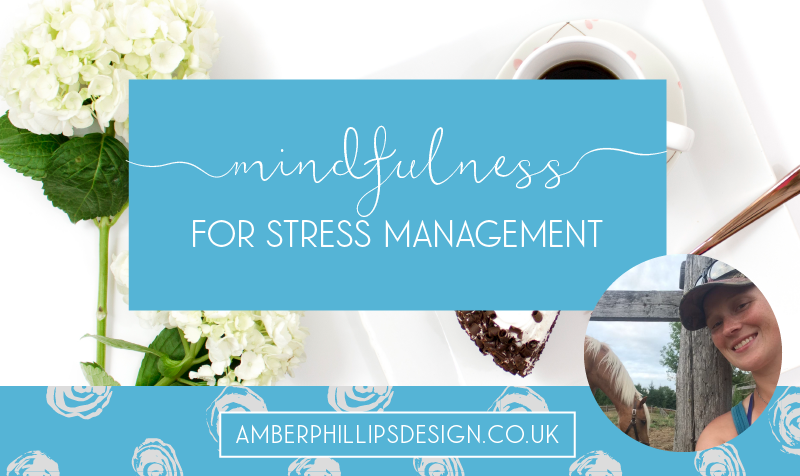 Amanda has developed a unique mini-coaching package Stressed to Serene, which helps busy entrepreneurs develop, implement, and be held accountable for their custom self-care and personal wellness plan in two months. She also created a mindfulness card deck with 72 different exercises and activities in mindfulness that can be done in 90 seconds or less.